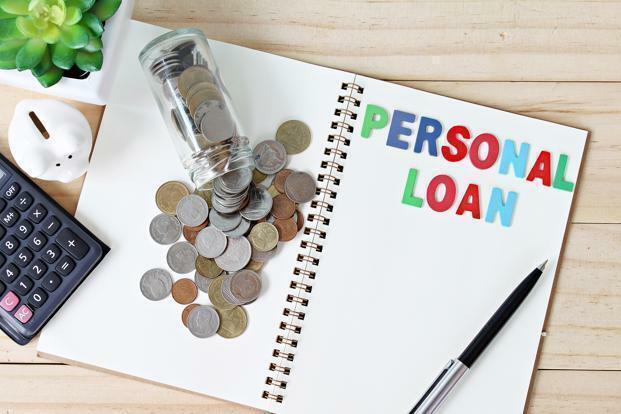 Personal loans are a way to use tomorrow’s income today, and unlike other loan products such as to buy a house or pay for an education, the process involved is simple. In fact, if you already have an account with a bank, you would have come across many offers for a personal loan. While these are easy to get, and offer almost instant gratification, you must note that the interest rates are much higher than, say, for a car loan. This is because personal loans are unsecured loans. This means that the loan is not backed by any asset; you don’t have to put up any asset like property or gold to be able to get the loan. 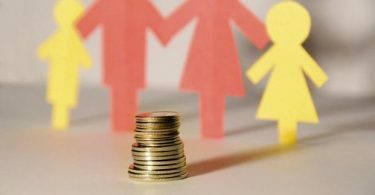 However, the loan amount on offer and its interest rate depend on a few parameters such as your income, credit, repayment capacity, and others. There are various versions of personal loans available now, some of which are called instant loans. These are pre-approved loans—the lender has already looked at your information, based on which it is offering this loan. Read more about them here. Easy to get, but not so easy to pay back. One must remember that personal loans come with high interest rates, so continuous default will put you on a downward spiral. Read more here. 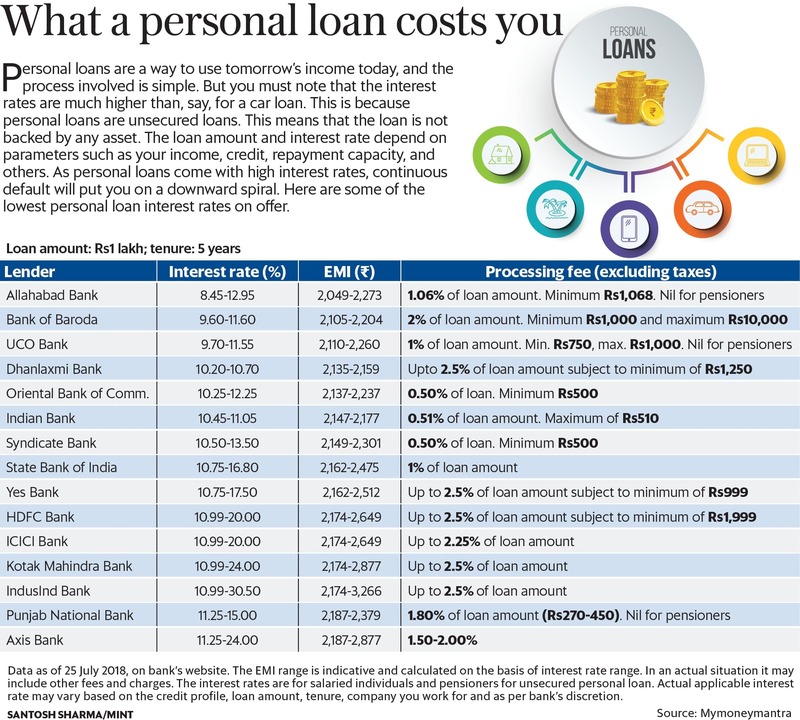 Here are some personal loan rates and other costs of the top private and public sector banks in India.